The History of Nubian expeditions is related to the Roman presence and exploration of Nubia. Between the Roman Empire and Nubia there was a relationship and interaction that lasted nearly seven centuries, from the first century BC to the sixth century AD. Nubia is an historical region around the Nile river, just south of Egypt, that actually is called Sudan. Before Roman times there was in Nubia the Kingdom of Meroe, that flourished together with the civilization of ancient Egypt. Rome's conquest of Egypt led to border skirmishes and incursions by Meroë beyond the Roman borders. In 23 BC the Roman governor of Egypt, Publius Petronius, to end the Meroitic raids, invaded Nubia in response to a Nubian attack on southern Egypt, pillaging the north of the region and sacking Napata (22 BC) before returning home. In retaliation, the Nubians crossed the lower border of Egypt and looted many statues (among other things) from the Egyptian towns near the first cataract of the Nile at Aswan. Roman forces later reclaimed many of the statues intact, and others were returned following the peace treaty signed in 22 BC between Rome and Meroe. One looted head though, from a statue of the emperor Augustus, was buried under the steps of a temple. "Bronze head of Augustus". British Museum. 1999. Retrieved 2008-06-14. In "The Deeds of the Divine Augustus," Augustus claims that "a penetration was made as far as the town of Napata, which is next to Meroe..."Augustus, "The Deeds of the Divine Augustus," Exploring the European Past: Texts & Images, Second Edition, ed. Timothy E. Gregory (Mason: Thomson, 2008), 119. Meroe eventually settled down to a healthy trading relationship with Rome and the Mediterranean. However, the Kingdom of Meroe began to fade as a power by the 1st or 2nd century AD, sapped by the war with Roman Egypt, the decline of its traditional industries and the increasingly destructive attacks from the Blemmyes. Indeed, at the end of the 2nd century AD, the Nobatae occupied the Nile's west bank in northern Kush. They are believed to have been one of several well-armed bands of horse- and camel-borne warriors who sold their vagility to the Meroitic Population for protection; eventually they intermarried and established themselves among the Meroitic people as a military aristocracy. Until nearly the 5th century, Rome subsidized the Nobatae and used Meroe as a buffer between Egypt and the Blemmyes. Meanwhile, the old Meroitic kingdom contracted because of the expansion of the powerful Ethiopic Kingdom of Aksum to the east. By AD 350, King Ezana of Axum had captured and destroyed Meroe city, ending the kingdom's independent existence, and conquering its territory into modern-day northern Sudan. Nubia was never dominated by the Romans, but in Augustus times there was a possible "Client State" of Rome in northern Nubia. 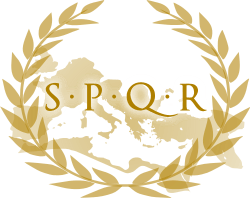 Indeed, Strabo describes a war with the Romans in the 1st century BC. 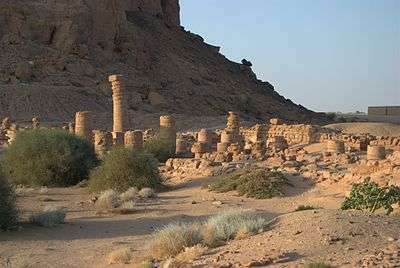 After the initial victories of Kandake (or "Candace") Amanirenas against Roman Egypt, the Kushites of northern Nubia were defeated and Napata sacked. http://afraf.oxfordjournals.org/cgi/repr... Arthur E. Robinson, "The Arab Dynasty of Dar For (Darfur): Part II", Journal of the Royal African Society (Lond). XXVIII: 55-67 (October, 1928)] Remarkably, the destruction of the capital of Napata was not a crippling blow to the Kushites and did not frighten Candace enough to prevent her from again engaging in combat with the Roman military. Indeed, it seems that Petronius's attack might have had a revitalizing influence on the kingdom. Just three years later, in 22 BC, a large Kushite force moved northward with intention of attacking Qasr Ibrim. Alerted to the advance, Petronius again marched south and managed to reach Qasr Ibrim and bolster its defences before the invading Kushites arrived. Although the ancient sources give no description of the ensuing battle, we know that at some point the Kushites sent ambassadors to negotiate a peace settlement with Petronius and possibly accept a status like "Client State" of Rome. By the end of the second campaign after other years of fighting, however, Petronius was in no mood to deal further with the Kushites. The Kushites succeeded in negotiating a peace treaty on favourable terms. and trade between the two nations increased. It is possible that the Roman emperor Nero planned another attempt to fully conquer Kush before his death in 68 AD. In Nubia Christianity began to gain over the old phaoronic religion since the first contacts with Roman Christians, and by the mid-sixth century AD the Kingdom of Kush/Meroe was dissolved substituted by the kingdoms of Makuria, Nobadia, and Alodia.